WOW LOSTIES, just WOW! My pen fell out of my hand at our cliffhanging moment of LOST last night. Every episode is crazy, but now. NOW? The writers are just trying to go ahead and call me a liar! I am sure the comments on this post will be flooded with "I told you so's" that we are being shown that the future is being re-written because of our LOSTIES being in the past. I'm still holding true to my "Whatever happened, happened" stance! No turning back now. 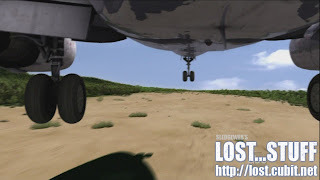 We still have a ways to go before we find out what happens in the last episode of LOST! And we know that Michael Emerson's work over the past 4 seasons of lost will not just vanish because of a trigger happy Sayid! But, kids, I'm getting way way ahead of myself. We have a whole crazy episode to recap! What we had is yet another engaging and fantastically written episode of LOST. My mission for this blog entry? Can I be a little less wordy? Let's find out! The synopsis: We have a Sayid centric story where we tie the missing events that led to his falling out with Ben on the Island and his capture by Ilana leading to his boarding of Ajira flight 316. Meanwhile in 1977 (currently the present day in the minds of our heroes), Sayid makes life difficult for Sawyer with his refusal to cooperate. Drama ensues in DHARMA LAND. Well, depending on how you want to look at this, most of them could technically be flash forwards because they take place at a later date. But, to keep us all sane, we will consider 1977 Sayid as "Present Day Sayid" because, for him, it IS the present. So the events that take place in this section are all part of HIS past! Are we all on board? Good! A theme is introduced to us that Sayid was born to be a killer. That it's in his blood. We see Sayid as a boy snap the head of a chicken (rooster?) doing a favor for his older brother. Their father told the older son that he had to kill the bird to become a man! Since Sayid killed the chicken, he will be a man, according to his father. Well, we finally see that even Sayid had some issues with his father (a running theme in the world of LOST). This scene takes place at some point after Sayid's last flash forward episode in season 4 "The Economist." In the Economist, we learn that Sayid become an assasin for Ben to try and keep his friends safe. He killed a man (Mr. Avellino) on a golf course and fell in love with his next target whom he also killed. Here we see Sayid chasing another target. Sayid kills the man he was chasing and meets up with Ben wearing a goofy hat afterwards. He is told that this was the last one of Widmore's organization that posted a threat to his friends. So this confirms that Widmore was the Economist, as if we didn't figure that out by now! Sayid wonders what next to do with his life. Ben tells him to live his life, that he's free. So, depending on how you want to look at this....did Ben know that Sayid still was going to go back to the Island because he saw him there as a boy? Well, that whole last scene just throws everything up for questioning! 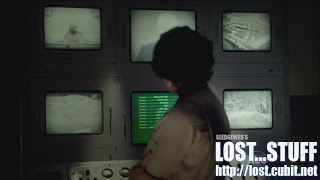 We're back with LOST's version of Habitat for Humanity and Sayid is doing his good deeds! First he was visited by Locke. Now he has a 2nd visitor. It's Ben. Sayid:"How did you find me?" Ben: "I looked" ahhhh that dude can say so much with 2 words! Ben informs Sayid that Locke is dead. He left out the part that he actually killed him! He blames the death of Locke on Widmore's retribution for the killings that Sayid has been up to. He then explains that someone was planted outside of Hurley's Institution at Santa Rosa. This sets up the scene in the season finale of season 4 where we see Sayid kill the man planted outside of the nut house. Okay, so Ben set up a ruse to get Sayid back to Los Angeles. Were the men that were chasing the Oceanic 6 all HIS men then? Did Widmore have nothing to do with it? And if they were Ben's men, did he let them all get killed? And I guess we really didn't get an answer this episode if Ilana worked for Ben too. Ben starts to get into Sayid's head that he's a born killer, the same thing that his father told him. Sayid refuses to believe it. Of course, if kid Ben survives to next week then older Ben would actually NOT be lying since he already knows Sayid tries to kill him! Ugh....time travel! So I guess by this scene, we are meant to think that Sayid has realized he was used by Ben. Because after he rescues Hurley, that is what he tells him! Maybe all of that time building houses helped him put it all in perspective. We revisit the Oceanic 6 (minus Hurley plus Ben) reunion at the docks where it is revealed that the plan is to return to the Island. Sayid wants nothing to do with it, and we have a modified quote from Sayid. Instead of "if I ever see either of you again it will be extremely unpleasant" it was "if i ever see YOU again...etc..." and it was focused at Ben. We next join Sayid at a Bar. He's drinking LOST's favorite Whiskey. Ol' McCutcheon's at $120 a shot! Ilana is there clearly coming on to him. Sayid goes on and on about trying to change. Ilana discusses people tempting you to staying the same. Next thing we know...we're in a hotel room. Sayid gets fooled by the ol' "Take of my Boot but I'm really going to kick you with it" switcheroo! The tables are turned and Ilana has a gun on Sayid. Ilana said she was hired by the family of Peter Avellino to bring Sayid back to Guam. She doesn't acknowledge being a bounty hunter, per Sayid's question. For all we know, she could be related to Avellino. And if Peter worked for Widmore, doesn't that mean that Widmore might possibly have someone on the Island again in Ilana? Eh...it's a stretch. Plus, we don't know...she could be working for Ben also. Sayid actually does see Hurley, Jack and Kate prior to getting on the plane. He realizes what might be happening and questions whether they are going to Guam. Ilana's "where else would we be going?" question seemed a little suspicious. But it could be just me looking into things. But Sayid requesting to take a later flight seems to indicate that he'd rather face punishment in Guam than to return to the Island. Sayid sees Sun on the plane. But the fireworks start when Ben gets on the plane. He overheard Jack and Hurley talking about "getting back" Sayid asks if Ilana is working for Ben. Goes on to explain the monster that Ben is: responsible for the murder of his daughter to save himself, responsible for nothing short of genocide (the purge), liar, manipulator. Ilana, again mysteriously asks "why would i work for someone like that?" She just never really gives the impression she is telling Sayid the whole truth. More to tell there! But we see Sayid again tortured by what he has done since he has left the Island while working for Ben. And it surely goes into his motivation for what he does after his return to the Island. The story on the Island consists of the DHARMA folks trying to figure out who Sayid is, Sawyer trying to help conceal their "cover" as DHARMA members, and Sayid trying to figure out his purpose for returning to the island. Kate finds out about Juliet and Sawyer and oh right, little Ben is intrigued by Sayid. Well, we see that Ben developed his lying skills much younger in life. He lied to Security Phil telling him that Horace asked him to keep bringing Sayid sandwiches. This time around? Chicken Salad!! That'll get Sayid to talk! Does anyone like the mirroring going on here? Season 2, Ben (Henry) was held hostage by the survivors (even brought in by Sayid) and questioned for a long time. Here we see that Ben was initially the one questioning one of the survivors on if HE was one of them! Not to mention the rest of DHARMA's interrogation of Sayid that we will get to in a bit. Ben asks Sayid if Richard sent him. 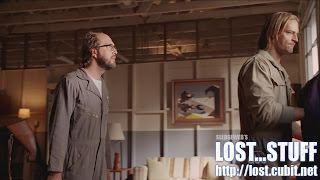 If you recall from season 3's "The Man Behind the Curtain" (or watched the "previously on LOST" for this episode), Ben and Richard had met before when Ben first arrived to the Island. Ben was going to leave DHARMA but Hippie style Richard stopped him and made him go back. Richard told him to wait and be patient, that it wasn't time yet. We learn in this episode that it has been 4 years since that meeting in the jungle. Ben tells Sayid that he has been patient and that he can help Sayid if HE is patient. We find out that the security cameras in the cell are video only and have no audio feed, according to Ben. Worth noting since Sawyer talks to Sayid freely later. A second meeting of Sayid and Ben actually does not occur. Sayid has a discussion with Roger Linus (Ben's Father). Roger asks Sayid how he got caught, Sayid has words with Roger for being a janitor. Roger strikes back with talks of Oldham (we'll get to him in a bit). But the payoff for this scene is when Ben shows up with a sandwich and is caught by Daddy. Ben is clearly scared. Roger gets a little violent pushing him into the bars of Sayid's cell. Ben admits that no one told him to bring the sandwiches. Sayid starts to piece together similar issues he had with his father. There isn't much for Kate, Hurley, Jack or Juliet to do in this episode but they do have their moments. Here is a quick summary. Juliet overcooks the bacon over concerns of their old friends returning to the Island. She is concerned that her simple life with Sawyer is over. She is concerned that Sayid will blow their cover. Sawyer is determined to not let that happen. He also tried to convince her that them returning doesn't change what Juliet and Sawyer have. 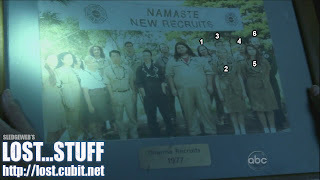 Kudos to a commenter last week who caught that we found out Kate and Hurley's DHARMA jobs in last week's episode. Kate is a maintenance gal with Juliet. And Hurley? Fittingly a DHARMA Chef! We get a nice DHARMA cafeteria scene between Hurley, Jack and Kate where Hugo brings out some waffles. They discuss Sayid's situation. Kate was hoping that Jack made progress when he talked to Sawyer the night before. Jack informed them that Sawyer told him to take a hike and let him handle it. Jack seems to be totally fine with the new chain of command. Almost relieved that it doesn't have to be him. At this Kate offers to talk to Juliet. Hurley makes the big reveal that Juliet probably wouldn't say anything either because she is with Sawyer. Ahhhh Hurley, so subtle "They live together, like not as roommates? You know together like you guys were? Thought it was kinda obvious. I mean, who couldn't see that coming?" Good times! As always, we can rely on Hurley so speak for the fans that saw the Juliet/Sawyer storyline coming a mile away. But, oblivious Kate was the last to find out. Even asking Jack if he knew too. A later scene shows Juliet and Kate talking cars at work. Juliet finds out Kate knows about her and Sawyer to which she responds with she didn't know how to tell her herself without it coming off as her telling Kate to stay away. oooooooooohhhhh SNAP, Kate! You just got served! On the surface Kate tells Juliet that it is okay. And thus, this ends this week's edition of Gossip Corner - LOST style! Back to the good stuff! Horace and Radzinsky visit Sayid first trying to get him to talk. Horace snaps the handcuffs off. They think he has had issues with the hostiles and that maybe he could be turned to work for DHARMA. Sayid says nothing and is told that he has an hour to speak up, essentially before they take it to the next level with the mysterious Oldham. After Horace updates Sawyer on the situation, James offers to talk to Sayid. Sayid opens up to Sawyer about meeting a 12 year old Ben Linus. He questions how Sawyer can live with him. Sawyer explains because he has to. Sawyer then opens the cage and apologizes before he starts beating Sayid. Sawyer had a plan. Sayid would confess that he had intel on the Hostiles that he would give in exchange of living with the DHARMA crew. Sawyer had to make it appear that Sayid would not give up the information easily. Sayid does not want to do this. He asks Sawyer to let him go. Sawyer goes on and on about how he's created a good life there and people trust him and told Sayid to cooperate. Sayid still refuses. Later on, they come for Sayid to bring him to Oldham. Sawyer gives him one more chance to play ball.....nothing. Sawyer uses the tazer on him and he becomes incapacitated. Sawyer, Sayid, Radzinsky and Phil drive out into the jungle to some crazy tipi looking shelter. And we meet Oldham aka the 3rd Regular Cast member from Deadwood to appear on LOST. 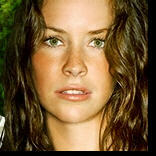 (Cassidy, Sawyer's baby mama and Pickett's Wife that gets shot by Sun. The name is escaping me right now!) Took me awhile to recognize him without the beard and top hat and ridiculous outfit. But that annoying voice is the same! Update: Thanks commenter "TIM" for pointing out that Juliet's sister is also an actress from Deadwood..she played Calamity Jane! So there are 4 in total. There is a phonograph player playing a tune that I did not know. I'll update this bullet if it turns out to be anything significant! Sayid asks Sawyer who the man is. And of course, the name of the episode comes into play. "He's our You" explaining that he is the DHARMA torturer. Oldham concocts some truth-telling drug to feed to Sayid. What's that stuff they use in the Harry Potter books? Veritaserum? Sure seemed like that! They put Sayid in restraints which he is told is for HIS protection from the side effects of the drug. They force the cube thingy into Sayid's mouth. Oldham dtells him not to fight it, he will tell the truth either way. Oh he sure did! So much so, that they didn't believe him. Fantastic! What a comical scene: I'm a bad man, not a hostile, came BACK to the Island on Ajira flight 316. Originally crashed on Oceanic flight 815. Was on the Island for 100 days (ummm I believe it was 108 days Sayid! )...go ahead ask Sawyer! Before Sayid can point out Sawyer Radzinsky wants to know about the Flame. Sayid starts explaining what he knows about the DHARMA stations: The Flame is a communications station, The Pearl (the one near Yemi's plane) is for Observing other stations and the Swan was to study electro-magentism. Or at least it was until the Incident! Radznisky concerned that Sayid knows about the name of the Swan station even before it is built. He saw the model, he IS a spy! Sayid then tells them all that they are all going to die. Then he explains he knows all of this because he is from the future. Gotta love Oldham's "OOPS" when he thinks he needed to use less of the drug. Then Sayid gives his most sinister laugh and tells him that he used the perfect amount. Yikes! 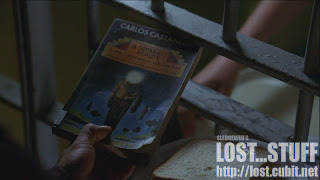 Sayid is brought back to the Barracks and back to his cell while a large group of DHARMA officials meet at Horace and Amy's house to decide what to do with him. Radzinsky votes to kill Sayid. He knows too much. Horace wants more time to decide. Sawyer tries to convince everyone he should talk to him again. Radzinsky goes nuts. Man, no wonder this guy went nuts and blew his brains out. He was already a nutcase before pushing the button every 108 minutes! Radzinsky threatens to call Ann Arbor and let THEM make the call. We can only assume he is referring to the DeGroots at the University of Michigan who created the DHARMA Initiative. Ahhhh, it was nice to hear them referenced! Amy chimes in speaking for the people. She can't sleep with one eye open. They can't keep him here. They have a baby to worry about now. Oh come on Amy, it's only Ethan! He starts stealing babies later anyway! Regardless, Horace puts it to a vote. Everyone votes to have Sayid killed except Sawyer. But in order to keep his cover, Sawyer has to change his vote to make it unanimous. Sawyer makes one more attempt to get Sayid out of this mess. He opens his cell and tells Sayid to hit him in the face, grab the keys and make a run for it. Sayid refuses. He felt like he had no purpose when he returned to the Island. But now he knows exactly why he is here and is not going anywhere. Sawyer gives up and goes to talk to Kate. (although, with some hesitation first. Sorry Juliet, best get used to it!) Sawyer wants to know why they all came back. Sayid was talking about his purpose and he wants to know why they are all back. Kate doesn't know why anyone else came back, only why she did. But she didn't reveal what that purpose is. 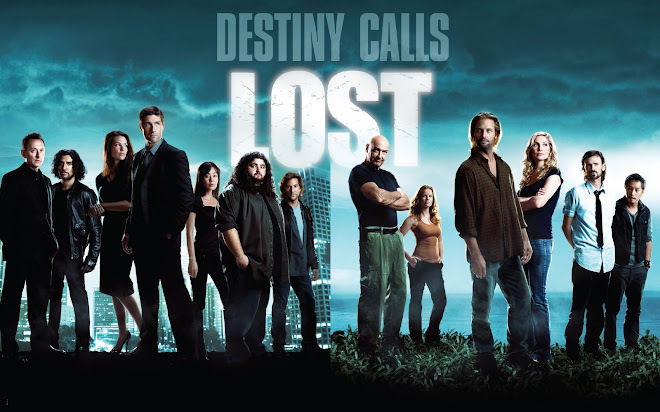 Because another conflict on LOST is always right around the corner! Kate and Sawyer witness a burning DHARMA van heading right into one of the DHARMA buildings. DHARMAVILLE goes nuts. Sawyer runs int Jack and mentions how there have been no burning buses for 3 years and then they're back for 1 day! Ahh good times. We see DHARMA has a few fire hoses that Jack starts to use on the building. Sawyer mentions that building "15" is on fire and everyone needs to get there. Yep, those crazy numbers again! Anyway, turns out the fire was only a distraction for Ben to break Sayid out. Security guy Phil was summoned to the fire as well. Not sure why, but it made me think of when Walt set the raft on fire. Even though it was more closely tied to Charlie setting a fire as a distraction when he stole Aaron in the dreadful "Fire + Water" episode of season 2! We see Ben with his broken glasses from an encounter with his father. Sayid says that his father was a hard man as well. An emptional Ben goes on about how he hates it there. He wants to be taken away from DHARMA and brought to Sayid's people. Sayid accepts to do so. And explains that this is why he is there. Ben gets Sayid out and then there is some running in the jungle. And a DHARMA VAN drives by. It's Jin. He sees something moving and stops the van. Sayid hides Ben. He explains to Jin that Sawyer let him go but no one knows. Jin wants to radio it in to Sawyer first. Sayid knocks Jin out. Ben was impressed with the moves. Sayid tells Ben that he was right about him. That he is a killer. As Ben stands there confused, Sayid takes Jin's gun and shoots young Ben right in the heart. Ben falls to the ground. Sayid runs off into the night. Okay, so get your shots in! Yes, in 2007, it appears that we see the DHARMA Barracks with DHARMA signs and pictures galore all over the place. So, Ben being shot here would help one's case to think that our survivors are in fact in 1977 for the first time and are changing the way history was once written. That eliminating Ben has eliminated the purge. Personally? I do not think it is as cut and dry as this. We were told in season 3 the rules of time travel. Everything has a way of course correcting itself. We have also seen people over and over again with the inability to die. Jack can't jump off the bridge, Michael can't kill himself, Ben can't shoot Widmore, surviving the crash of 815, the helicopter crash after the Island moved, Sawyer getting shot by an OTHER a few episodes ago and him not seeming to get shot at all, and of course even Locke getting shot by Ben conveniently where his missing kidney was. It seems that the effects are random with how this all works. So what does this mean? Is Young Ben not dead? I'm inclined to think that he is not. We know Michael Emerson (older Ben) will not be phased out that easily being such a integral part of the cast these days. Let's think about it. Ben still appears to be a member of DHARMA right before the purge. So he was not meant to LEAVE DHARMA for good during this time period. But that doesn't mean Richard won't save him. Though at this point, he's face down in the jungle next to an unconscious Jin. Jin could bring Ben back to DHARMAVILLE, and then guess what? Maybe they'll need a surgery and there's only one man that they can ask to do it. Yep, you guessed it....not baby Ethan but janitor Jack Shephard! Tons of ways they can go with this. I just hope they don't say he's dead and then raise him from the dead John Locke style. (of course, we don't know for sure if Locke is really alive or just another Christian Shephard) Ugh, I'm rambling I know. But before we get to the comments, just know that this episode did not phase me from my "WHATEVER HAPPENED, HAPPENED" stance on the time travel aspect of the show. Which means, in my head, something has to explain the events that happen to make it appear otherwise. To avoid spoilers, I will refrain from telling you the name of next week's episode. But if you click on this link, you might feel a little enlightened! Other than that, take your best shots at me. Explain to me how our crew is changing the course of the show. And I will make my best efforts to explain how this will NOT be the case! The war between LOST viewers has begun and it's all thanks to the introduction of TIME TRAVEL! I love it! Hope you enjoyed my ramblings as always. See you next week and NAMASTE! Hello Losties! I'm sure most of us are still trying to wrap our heads around Ben's reasoning for talking down Locke from the noose only to take him down within minutes! But, this week we had to catch up with our LEFT BEHINDERS to find out what happened to them after Johnny Boy Beamed off the Island. LaFleur was a lot slower paced than our past couple of episodes, but still chock full of little goodies we can talk about. And of course, the moment we wanted to come much sooner in the episode was saved for the episode ending 2-week cliffhanger! Ahhhh LOST! Gotta love it! I enjoyed the episode, as I do every episode. But, compared to the last couple of episodes, we're bound for a bit of let down! So we'll just give it a one exclamation point WOW! The episode served the purpose that it had to serve, told the story that needed to be told, and now we can move on to the exciting stuff! We're at the midpoing of the season folks, can you believe it? 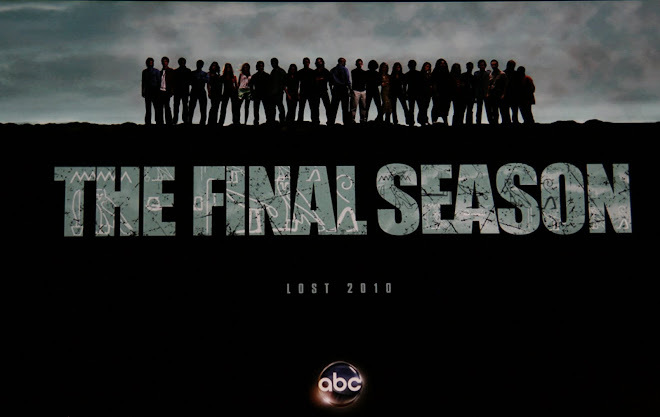 Only 26 hours left of LOST from now until May 2010. Yikes, well let's not start crying now, let's get into the episode! So this episode starts off immediately after Locke falls down the well. When we last left our Island crew Daniel was hovering over Charlotte who passed away and Sawyer, Jin, Juliet and Miles were surrounding a rope in the ground that a few seconds before had John Locke on the other end of it. Crazy Time travel! And exactly "when" did they end up? Well there's a bit of an interesting twist there! We find out that when Locke fell into the Donkey Wheel cave, Sawyer and crew flashed back to a long long long long time ago! 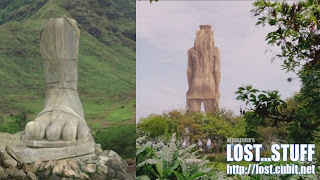 Yes folks, Miles spotted a fully constructed gigantic statue that very much looked like something that could have deteriorated over the years only to leave ONE FOOT, which happens to have 4 toes on it! FINALLY, we got to see more with the statue. Naturally, we only got to see the back of the statue so no telling what the front is. Wow, so how far DID they travel back? And doesn't it look kinda Egyptian to you? I kinda think so. Let's recap all of our Egyptian paraphernalia hanging around the Island. We have the Hieroglyphics that are showing up on all ancient structures (the temple, the cave that Ben summoned Smokey from). Then we have the DHARMA Swan Station clock that showed the symbols when the clock counted down to zero. We also get a new relic in this episode that is DHARMA related as well. Let's not also forget that Hurley was drawing a picture of a Sphinx in last week's episode. Oh, and there is an Island exit in Tunisia, which is a hop-skip and a jump away from Egypt. What gives people?! Are we making some connections here? Oh, and does it seem like the statue has a nice full head of long hair? Remember way back when in season 3 when we saw a brief shot of JACOB in the rocking chair? He seemed to be sporting that haircut as well, didn't he? (okay, that part is a stretch!) But seriously, we should be tying this Egyptian stuff together by now right? An Island which some crazy energy source, ancient Egyptian artifacts, an ancient wheel deep in the Island that teleports you to Tunisia. A Smoke monster, healing powers. Yikes, I'm still LOST, but I feel like we got a crazy clue here. It would seem that the Egyptians may have been the first residents of the Island. THEORIZE away! And now that we know the statue was COMPLETED at one time, are we now going to have to wait until season 6 to see the front? Anyway, while my rant above went on for 3 hours, we only saw like 3 seconds of the statue before we got a whole new kind of flash after Locke turned the wheel. The earth shook the sky was flashing a little differently, but then we got to hear the sound we've come to know and love and BOOM....they were in a new time period sans headaches and nosebleeds. And thus, the flashing ends. The well is there again, but there is no hole going deep into the earth. Hmmm, that's weird. Considering the time we know they end up in how did Charlotte know about the well to tell them it was a way to the wheel? Was it recently filled with dirt by the DHARMA Initiative? And come to think of it, now that we know that the donkey wheel exists the spinner to Tunisia, we CAN pretty much confirm that this MUST be how the Polar Bear ended up there right? I know some found this far fetched. But how else would it have happened? Can't we somehow tie this to Charlotte knowing to look in Tunisia and to her knowing about the well? I dunno, maybe I'm grasping at straws here! Well, looks like some of our theories when we saw Jin in the DHARMA suit turned out to be correct. We figured that if 3 years passed off of the Island, that maybe the same would happen for the people that stayed ON the Island. At this point the episode begins to flash back and forth between the 3 year period that Sawyer, Jin, Miles, Dan and Juliet waited on the Island for their friends to return. Let's break it up between the 2 time periods as best we can! We open up with some DHARMA Security guards slacking on the job. Well, really just Jerry (Jason Street's Crippled friend on Friday Night Lights) and his girl Rosie are dancing to some classic jams on the reel to reel! Then Jerry's security buddy (couldn't make out his name but he was the comedian in season 2 of Mad Men) ruins the fun by saying they need to focus on their job. There is a mention of Polar Bears in cages here. We already knew DHARMA was experimenting with Polar Bears, so nothing new. I just want to know how one ended up in Tunisia! We see Horace Goodspeed on one of the security cameras all drunk on DHARMA Booze and blowing up trees with Dynamite (from the Black Rock maybe? We know Sawyer brings it up to him 3 years prior) If you don't remember Horace, we saw him in season 3's "The Man Behind the Curtain." On the mainland, he helped deliver Ben on the side of the road and then recruited Ben's dad Roger to work for the DHARMA initiative 12 years later. So this is still before Ben comes to the Island. Anyway, the security guys summon the head of security LaFleur. And it turns out to be a clean shaven James "Sawyer" Ford. What a great name: Jim LaFleur You know the writers loved giving Sawyer that alias to go by. Sawyer and Miles (Sawyer calls him Enos, not sure if it's a nickname or what he's going by) head out to pick up Horace. Horace seems to be the leader of the DHARMA initiative. His drunkenness is apparently a rare occurrence, so something was up. Sawyer brings Horace to Amy (his wife) it's Michelle Dessler from 24!! Lots of recycled cast members from other TV shows in this episode! Amy tells Sawyer that they got in a fight over something. Before she can reveal what, she's going into labor! We learn from the doctor that all pregnant women are taken off the Island to have their children. Amy was supposed to be on the sub on Tuesday to go to the mainland. But the baby is early. It seems like they were leading us down the path for us to think that even DHARMA folk had trouble having children on the Island. But in later times, no one would have gotten to the stage of pregnancy that Amy did. Anyway, a C-Section must be performed and no one there can do it. 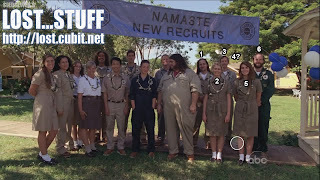 Sawyer goes and recruits Juliet who is undercover as a DHARMA Maintenance woman. She was fixing one of the vans. Juliet seems to have made an agreement with Sawyer to never work with pregnant women on the Island again due to her track record. 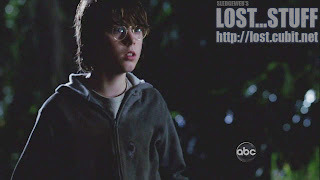 Sawyer makes a comment that maybe whatever happens later on the Island that kills pregnant women, hasn't happened yet. This would seem to be the case. Later outside of the infirmary, Jin comes to see Sawyer. Looks like Jin is on assignment looking for their friends. He searches one grid of the Island per day. His English has gotten considerably better. Now, after 3 years, that would be understandable! So, it turns out that when Jin found Jack, Hurley and Kate he was in fact actually looking for them. Crazy stuff! Juliet comes out and delivers the good news to everyone. "It's a Boy!!!" And now, everyone wonders...WHO is Horace and Amy's child? Ahh, I'm not even going to start theorizing right now! Anyway, Mr. LaFleur, French for The Flower, picks a flower from a garden and heads to Juliet's house who is making a nice dinner. There's some hugging, some kissing and .....woaaaa "I LOVE YOU's" going around. Looks like Sawyer found a new gal to play house with! Not that this is a shocker, they've been building this relationship all season long, well really starting in the season 4 finale. JATERS and SKATERS might be jumping ship soon to support this new LOVEFEST! Sawyer, reading a new book is watching over Horace. He wakes up and begins to explain how the fight happened. Horace found a Ankh Neclace that belonged to Paul (Amy's old husband. We'll get to that in a second too!). Horace felt that 3 years was not enough time to get over someone. Sawyer went into his speech talking about how he used to feel for Kate. But then he said he can barely remember her face anymore. 3 years is absoultely enough time to get over someone. Let's pause this storyline and find out how they got there! Sawyer, Miles, Juliet and Jin start heading back from the well and find Dan mumbling to himself and saying "I'm not going to go after her this time." He obviously is referring to the creepy comments Charlotte made to him right before she died. Dan is supposedly going to tell little girl Charlotte to leave the Island and never come back unless you want to die! Interesting that he was saying "this time." Kinda reminded me of when Desmond consciousness traveled back to before he was on the Island and relived key moments of his life again and tried to change things. (the first time we meet Mrs. Hawking) Anyway, he still dumps Penny and ends up back on the Island and starts ranting about wanting to go back and try it again. Am I suggesting that this version of Dan has traveled back and tried to prevent this before? No, not really. He is probably just saying it because he knows that Charlotte remembers him doing it which means he will do it. But I did find it interesting! Dan told everyone that Charlotte was gone. When she died her body "moved on" and they stayed. Interesting way to put it. Wouldn't you think that "THEY MOVED" and she stayed? Dan, explains how they are stuck in the time that they are there for good. Oh, and he's gone a little crazy too! Sawyer takes charge with Dan "checked out" mentally. He suggests to go to the beach and wait for Locke and crew. This starts a nice running banter of jokes between Miles and Sawyer. Miles says all they ever have are 2 plans "go to the orchid, or go to the beach." Miles made a good point about the flaming arrows, but how did he know what time they were in when he said the Camp is gone? I guess because they saw the well? I don't think the well was there at all in 2005 beyond. Eh, minor semantics again. It was still great to hear Sawyer tell him to "ZIP IT!" 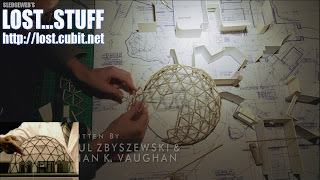 Plus Sawyer then says "IF our stuff is there, Great, if not we build new stuff." So that covers it! Juliet publicly agrees with Sawyer to help things to get moving, but then she tells him in private that it's a stupid idea. (flirtingly, albeit!) She tells him to come up with a better plan before they get there. Thankfully, there was GUNFIRE to save the day! Miles tries to confirm with Dan that they don't get involved. Apparently, living with a new theory about time travel after his Charlotte conversation, he tells Miles that it doesn't matter what they do. Whatever happened happened. So I guess he's suggesting that if Sawyer and Juliet kill 2 OTHERS, that is what always happened in the timeline. Doesn't make sense with people suddenly getting memories in the future but it's exactly what happened here! Boom, Juliet takes one down before he gets Sawyer and BAM Sawyer gets the other one. Nice little head nod-exchange from Sawyer to Juliet. The flirtation continues! Dan gets a new nickname from Sawyer - Plato. And I know this comes later but he calls Miles - Banzai and well that was just a fantastic time! It's interesting to note here that Juliet doesn't recognize the OTHERS. She says it is before her time. It's 27 years prior to when Juliet came to the Island. One could argue that these people COULD HAVE still been on the Island as our part of the Nomadic Others tribe. But the ironic thing is, she probably never met them because she helped kill them before she was even there. Ahhhhh Time Travel! Sawyer begins a massive lie to coverup their time-traveling future-dwelling past. He tells Amy that their ship wrecked here on the way to Tahiti. He's also alarmed because the Others had a walkie and may have radioed in for reinforcements. They need to get moving. Amy discusses how they need to bury the bodies. DHARMA has some kind of TRUCE with the OTHERS. We will get into the Truce a little more in a bit, but one has to wonder if breaking this TRUCE potentially led to the purge? Amy also says they need to bring Paul with them. Jin volunteers to carry him. And they bury the other 2. Anyway, they begin their venture to the Barracks. Sawyer still has his take-charge attitude. Explains how he used to lie for a living so everyone just follow his lead. Then Dan almost runs into Sonic Fence around the barracks. Juliet sorta blows their cover by screaming at Dan to stop! Amy looks at them now distrustingly. Juliet requests for Amy to turn it off as it looks like some sort of sonic fence. Right, because we run into those every day! Long story short, she appears to change settings and walks through (but we hear some kind of noise when she does). Everyone else follows and passes out. Must've been set to a low enough setting that earplugs would do the trick for Amy! Sawyer wakes up later and Horace is there to great him. He thanks Sawyer for helping Amy in the jungle. And explains that the fence incident is defense protocol against the Hostiles with whom they don't get along. Horace tells Sawyer that all of his people said to talk to him because he was the "boat captain." Anyone else picture Sawyer as the Skipper in a Gilligan's Island remake for just a brief second? Anyway, he introduces himself as Jim LaFleur. Explains they got caught in a storm and shipwrecked and must've hit the reef. They all washed up on shore. He explains how they were on an expedition looking for a Slave Ship based out of England known as the Black Rock. Horace claims he never heard of the Black Rock, which for all we know could be the truth at that point. But 3 years later he most likely got the dynamite from there! Sawyer explained that they were in the jungle because some of their crew went missing and they were looking for them (Are they really going to be able to explain that they finally found their crew 3 years later when they pick up Jack, Hurley and Kate? That should be interesting! But we're not there yet!). Horace explains that only DHARMA members can stay on the Island and that Mr. LaFleur is NOT DHARMA material. He says that they're all going to be on the next submarine off of the Island. Funny how now that they're in the wrong time, getting off of the Island doesn't sound like such a good idea! Miles, Dan, Juliet and Jin wait for Sawyer to salvage the situation. Miles mentions how Sawyer is probably blabbing about time travel at this point. Jin asked Dan if they are no longer going to flash. Dan says no and that the record is spinning again, but they're not on the song they want to be on. Ahhh how poetic. So do we think Dan is going to try and FIX the record? And that's why he is mining at the Orchid? Oh right, we see Charlotte as a little girl! Dan, looks like he's going to forget all about NOT wanting to warn Charlotte this time. We'll see! Sawyer catches everyone up on the situation that they believed the story but still getting booted from the Island. Oh and that LaFleur is Creole. Maybe Sawyer spent some time in New Orleans during his Conning days? Something tells me we probably won't be getting a backstory on that one! Just as they think they're luck has run out, it's The OTHERS to the rescue again! The DHARMA alarm is sounding. Someone has entered the premesis. Our Heroes are put into a house under guard with someone that I swore looked like Locke's Helen for a second. But her name was Heather and upon further review, decided it was not her. That just would have been silly! We then see Richard with his infamous torch enter the scene. He plants his torch in the ground and waits for someone to come talk to him. Sawyer and Juliet exchange glances "UH OH..." Dum dum dummmmmm! Horace goes out to meet Richard. We find out that the Sonic Fence doesn't keep The OTHERS out of the barracks. Interesting. Do they have DHARMA earplugs too or is there something ELSE about our infamous Others? We already know Richard is an ageless wonder! Anyway, we also know he was referring to Smokey when he suggested what the fence DOES keep out. Richard said that 2 of his men are missing and that the TRUCE has been broken. Horace comes in to check about the bodies with Sawyer. Horace tells Mad Men guy to call the Arrow station and tell them they are at Condition Level 1 and to turn the fence on Max. We learned in the season premiere that the Arrow Station's (aka the station where our Tail Section was living hand found the glass Eye and hollowed out bible) purpose was " to develop defensive strategies and gather intelligence against the island's hostile environments" We now see that playing out here. Hmmm, if Chang was creating the Orientation Video for The Arrow in the premiere and we saw Dan there in the premiere does that suggest Dan goes even further back in time? That just can't be right. Maybe they were operating without an orientation video for awhile. Anyway, Sawyer sees this as an opportunity to stay relevant. He volunteers to talk to Richard and explain the situation. Gotta love how he referenced Richard's "eyeliner" too! Richard then believes that Sawyer is not with DHARMA but that 2 of his people are still dead and they will want Justice. Now why does Richard refer to them as HIS people when he's never 1st in command? Surely, Widmore is in charge at this point! Anyway, that's not important right now. What is...is that Richard wants Paul's body in exchange for his 2 dead people. Huh????? This screams of Locke coming back to life again. Are they going to offer him up to the SMOKE GODS or something? This is just bizarre. But I'm sure there is a deeper reasoning for it that we just don't know right now. 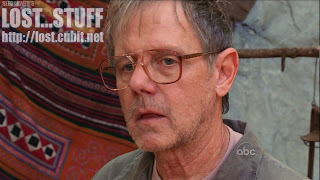 Horace tells Amy he is willing to accept if she doesn't want to give up Paul and that they will suffer the consequences. Amy decides to keep everyone safe by giving up Paul. She takes the Egyptian Ankh Necklace off of his neck. By the way, the Ankh is another Egyptian Symbol that represents Eternal Life. Interesting that he was wearing that and that The Others want his body. That's all I'm saying! Oh, that and that there is more Egyptian artifacts on the ISLAND both inside DHARMA and out. What is going on here??? Anyway, this wins Sawyer and crew a 2 week stay on the Island to look for their friends. But we can assume they worked that into 3 years with Sawyer's classic conning ways! Longest Blog header in Lost Addicts history! Sidenote: you would hope at least the DHARMA crew were able to leave the Island during the summer of 1977 to watch Star Wars at least a couple dozen times! Anyway, back in DHARMA-Land 1977, Sawyer and Juliet are catching some Z's and the phone rings. Jin's on the phone. Sawyer instructs Jin not to bring them in and to meet him at the North Valley. Juliet asks what is going on. Sawyer says that it's Jin and he has to go. Sawyer drives a DHARMA JEEP (new vehicle!) to meet up with Jin in his DHARMA VAN. Sawyer gets out of the car, Hurley steps out of the van with the guitar. Jack steps out in his suit. Jack and Sawyer exchange smiles. And then Sawyer sees Kate....and it would appear all feelings that he has forgotten about came rushing back within a second. Like I said, tough to top our Oceanic 5 returning to the Island and Locke seeing Ben after his murder in the past couple of weeks. But that was still a good time! Is it enough to hold you over for 2 weeks? Yep, there is no episode next week. We knew there had to be at least a 1 week break to drag this show into the proper MAY SWEEPS Finale Week. There is still plenty to talk about over the next 2 weeks so here's a few discussion points! What role will Jack, Hurley and Kate play in the DHARMA past? Will Sawyer work them into their lie? He IS head of security afterall! What about all of these Egyptian Artifacts? Anyone want to venture a guess on the ultimate question to end them all? WHAT IS THE ISLAND?! Will the show end with our crew stuck in the PAST or is Dan going to try and change that? I am going to guess that they won't if we have Locke and the Ajira crew in the future. And especially if SUN is separated by time from Jin. How is the next interaction between Ben and Locke going to go? How did Christian Shephard change out of his Suit into Business Casual? What happened to Desmond and Penny? How are Nikki and Paulo doing in the ground in 2007? Did Jughead implode when the Hatch imploded? How did Kelvin get to the Island? Was he there during the purge and allowed to keep pushing the button? Will we ever meet Radzinsky? Who are the Adam and Eve Skeletons? And finally, where on earth are ROSE AND BERNARD?????!!!!!!! Next episode looks like a doozy, but to avoid spoilers, I'll avoid discussing for now. In the comments? All bets are off! Discuss away folks. Hope you enjoyed my ramblings, NAMASTE and see you in 2 weeks! This blog will also be posted on Gather.com. Feel free to check it out and send some votes my way! You may also stumble upon additional discussions there!